It’s official, the “d” day of the breaking up between the United Kingdom and the European Union is imminent! The Brexit process which started in 2017 is soon ending on April 12. This critical event is capable to turn everything topsy-turvy. We are THE solution ! 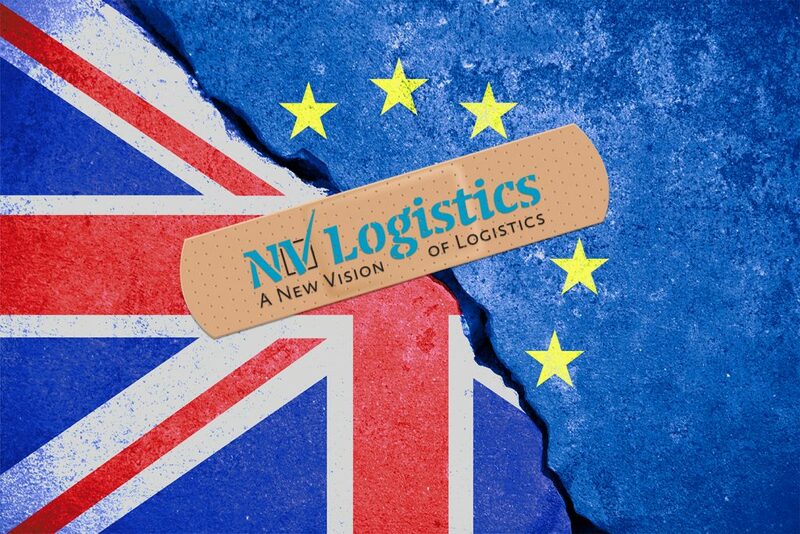 With the aim to anticipate any possible delivery and customs problems not forgetting a possible backlog on your shipments, we propose our BREXIT AIRLIFT J.O.B* Solutions from Lausanne Blécherette to Bournemouth, a new concept to perfectly fit your requirements! 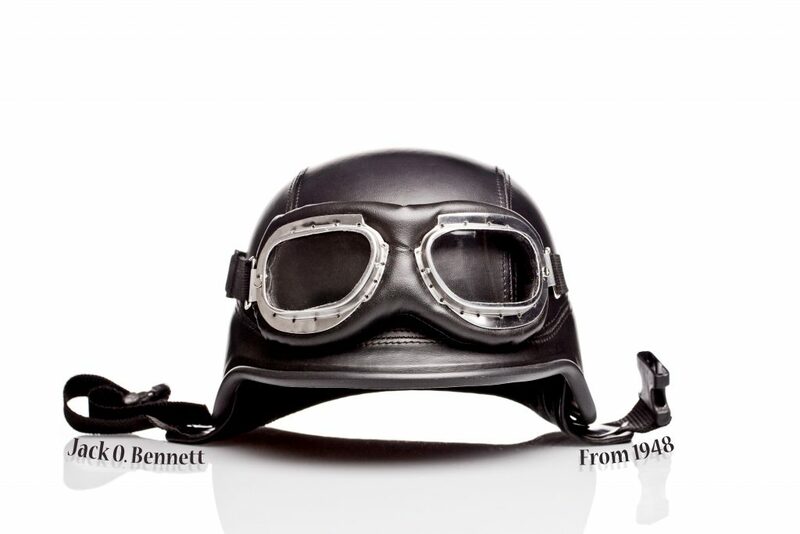 * Named after Jack O. Bennett, the pilot who has realized the first Berlin airlift in 1948 following the blockade implemented by Stalin. 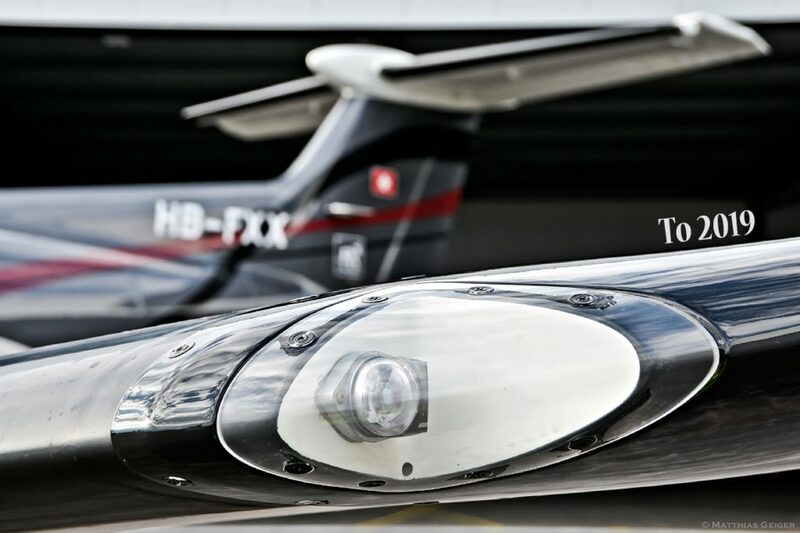 Twice weekly, we charter a Pilatus PC-12, the swiss knife of aircrafts, from the Lausanne Blécherette Airport to Bournemouth and back. Flight time is 2 hours. We look after all custom requirement (CH Export – UK Import) as well as final delivery to consignee by our vehicle Fleet. Deadline for assured delivery is two hours prior the flight. As a plus, our light vehicle Fleet will deliver your parcel at any address in the UK. Contact us for more information! 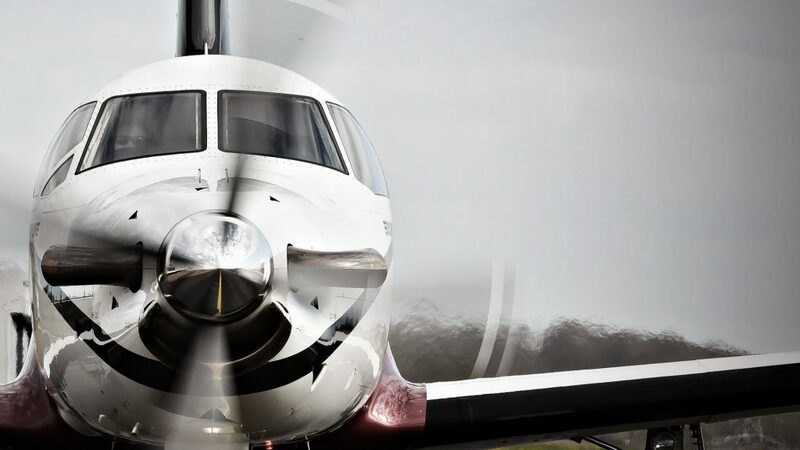 On request we charter a Pilatus PC-12 aircraft of one ton capacity (5m3), from Lausanne Blécherette to Bournemouth and back. Flight time is 2 hours. Deadline for parcel delivery is 2 hours prior the flight and we look after all custom requirement (CH Export – UK Import) as well as final delivery to consignee by our vehicle Fleet. Our skilled personal will dispatch your parcel with care to its final destination thanks to regular flights from Geneva, Basel or Zurich. Maximum parcel size and weight in cabins or in the hold are dependent to the rules of each individual airline company. Contact us for more information! You have a little bit more time for your delivery? Our light vehicles Fleet will perfectly answer your requirements with a capacity of 800kg or 1,5 m3. 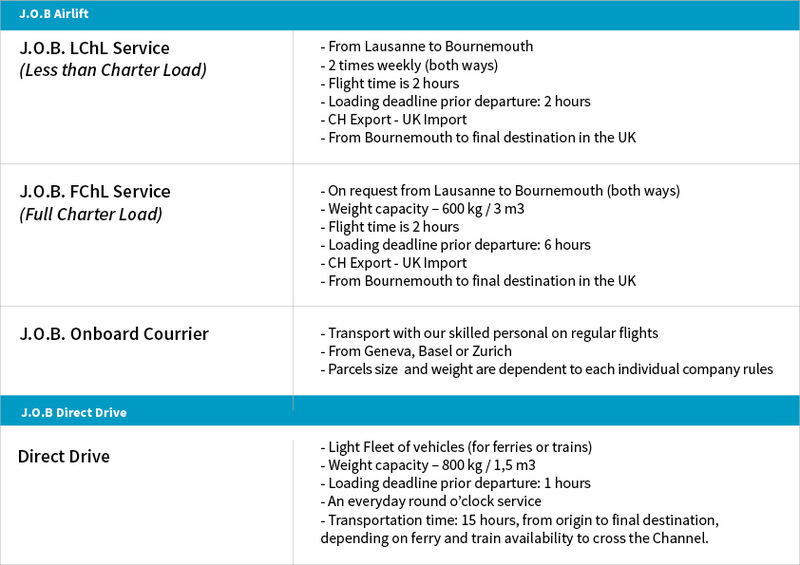 An everyday round the clock service through the Channel either by ferry or train, depending on availability. Transportation time, 15 hours. Deadline for parcel delivery is one hour prior departure time from Lausanne. Contact us for more information!